Last year, Paul and I made a commitment to update our television set. This became even more apparent when we had to move the behemoth from our rental to our house. It took both of us to lift the monster down a flight of stairs with potential risks along the route to our moving van. In addition, we noticed it was unable to properly display some of our favorite shows by cutting off either or both sides during transmission. So after years of talking about upgrading, we finally did— to a smart digital television. Now we can watch Hulu, Netflix, Amazon as well as the basic cable that came free with our internet service. We quickly fell into bad habits, shuffling through all the channels over and over until one day we found two hidden channels: Cozi and ME TV. They’re hidden channels in that both Cozi and ME TV can be found on 8.2 and 39.2 on Time Warner. If you don’t have a digital television, they aren’t visible. With those channels, we’ve been rediscovering and watching retro television like Batman (Saturdays) and The Six Million Dollar Man (Wednesdays). Sure, they’re cheesy but that’s why we watched them. One recent episode of The Six Million Dollar Man featured Steve Austin attempting to find a box of cocoanut oil which I’m sure is a typo because he was really looking for the power food coconut oil! How else would Steve Austin’s artificial limbs be powered? Coconut oil is one of the many highly hyped foods that popped up late last year. It holds up to high temperatures and despite being high in saturated fat, it increases the levels of good HDL aka good cholesterol in blood when consumed in moderation. 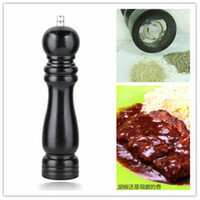 There are also purported benefits of it keeping your weight down. An added plus: it makes a great moisturizer which I’ve sometimes used on my lips and a tiny bit in dog food to keep our puppy’s fur soft and healthy. In essence, it’s good for the body even ones that weren’t funded by the government. 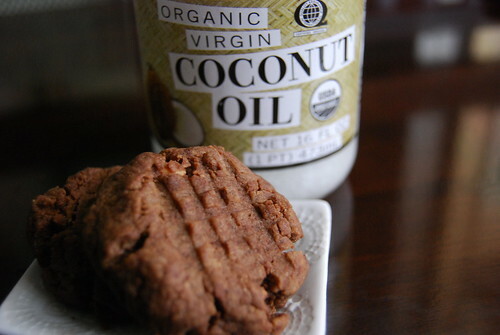 I haven’t really experimented with coconut oil except in baking peanut butter cookies, where I’ve used it to replace butter . The coconut oil really doesn’t add any detectable coconut flavor. And while they’re still cookies, they’re a healthier choice, rich in antioxidants to boost your body’s immunity. 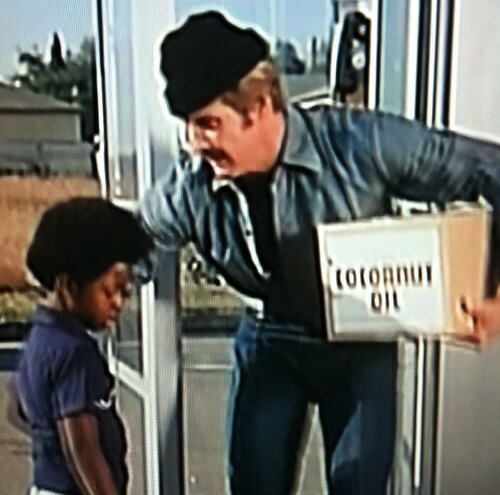 Hmm… maybe Steve Austin did have some inside knowledge on cocoanut (sic) oil back in the ’70s even with the ridiculous mustache he sported in that episode. Despite the obvious typo, these are appropriately cocoa-nut cookies: they have a little bit of cocoa, a nut butter (peanut butter) and, of course, coconut oil. In a bowl, sift together flour, baking soda, baking powder, cocoa and set aside. In a large bowl, beat coconut oil and peanut butter until combined. Beat in eggs one at a time. Add white sugar, brown sugar and vanilla, making sure to scrape down the sides. Using a tablespoon, roll into small balls and use a fork to make cross-hatch pattern. I first thought that the body screen shots were from the show but then I started reading them. Too funny! Thanks for noticing! I take pride in the verbiage. Rad screen/body shots! I have a jar of coconut oil sitting in my cabinet. I read a recipe for using it to make your own stovetop popcorn and figured I’d give that a shot. 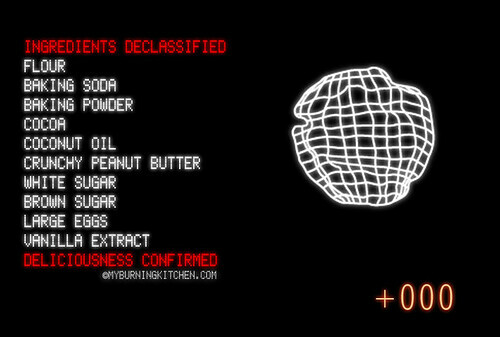 I’ll have to try it as a replacement for butter, too, in some baked goodies. I think you and I read the same recipe on TheKitchn. After reading it, I immediately had to get myself a jar. 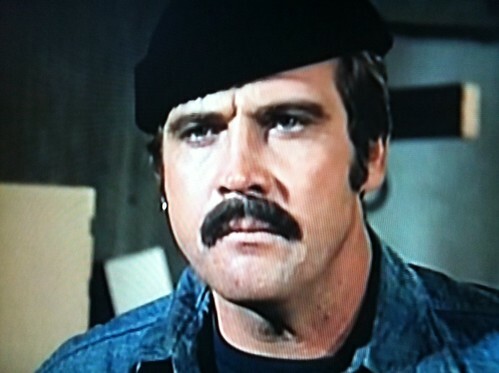 Damn, nice stache on Lee Majors! Ha ha!!!!!! When I think of coconut oil, i think of people in the south pacific slathering it on their skin and hair to get tan and moisturized. i actually saw a coconut shrimp recipe recently that utilizes coconut oil (along with shredded coconut, and coconut vinegar). made me curious to try making it. That recipe sounds really, REALLY good but afraid of the possible deep frying. 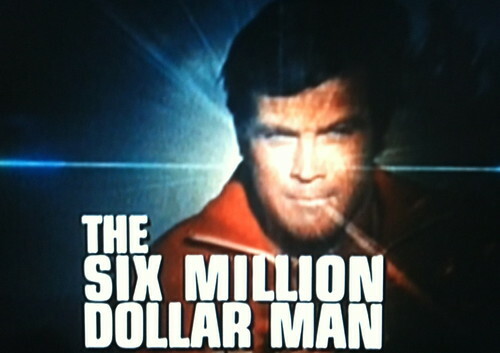 I love watching The Six Million Dollar Man for the fashion (so BAD) and the ridiculous plot line. The 70s was an interesting time. it does require frying, but not purely in coconut oil…there’s coconut milk in there too. Nice to see you’re enjoying the local NBC and CBS affiliates’ additional digital channels – it’s one of the many perks of the HDTV landscape. Uh, that was me…Thought I’d logged in. Oops!